I am one of those women that loves make up and loves wearing it. When I had the opportunity to review a few different make up products from GOSH Cosmetics, I was so excited. GOSH Cosmetics offers a wide variety of colours keeping up with the latest trends and fashions. Their makeup brings you shine, shimmer and dazzle. Along with their brightly coloured mascaras and liquid eyeliners; pencils and nail lacquers and a complete assortment of waterproof or semi-permanent make up, GOSH gives their costumer everything they need to create their perfect look. I was sent their mineral powder, two of their Giant Blush, two Velvet Touch Lip Liner, a Defining Brow Gel and their Double Precision Mascara. I usually start my morning off with a foundation brand and then I apply a powder cover up. I used the Mineral Powder in Honey and it came out a bit dark for my skin. GOSH also has Ivory and Natural Mineral Powder as well. If it was a little lighter, it would have blended better with my complexion. The powder did go on smooth and a small amount was enough to keep the shine away all day. It wasn't thick and it didn't make my face look like I had a pound of make up on. It was easy to apply with just a simple make up brush and lightweight. I was very impressed with the powder and will have to go grab myself a lighter shade, maybe in Natural. Next when putting on my makeup, I applied the GOSH Giant Blush in Passion and loved it. It leaves a light stain of color that looks like a natural flush. It blends easily to allow a great transition from color to natural skin. The colors were light and not drastic looking. With my oily, sensitive skin I was wary of cream blush, as I had never used it before, but this is now my favorite blush by far! They also have Shy and Pink Parfait available as well. The Gosh Double Precision mascara was my next step. ABSOLUTELY fantastic mascara! This is a two-step process that involves a lower lash brush and an upper lash brush. I started with my upper lashes first and right away I got a thicker, fuller look that made my eyes pop. The lower lashes blended so well with my upper lashes. The mascara didn't clump and with pumping it several times to get a darker effect there was no clumping. Next I tried the Rebellious Brown Eye liner ( I love the name). This eyeliner goes on rich and smooth. Easy to apply in a thin or thick line. Does not smudge or fade away easily. I find this liner more impressive than my previous favourites. I've never been much of a lip-product girl before, usually sticking to nothing but a simple lip tint, gloss but hey I wanted to try it out. I used the 003 Cardinal Red Velvet touch lipliner. This was the very first lip pencils I had ever tried and I enjoyed trying it out! Very matte, very soft, easily sharpened, and are quite durable. I would have liked to try a lighter color as it seemed to dark for my complexion, but it was a great try. Last but not least, the Gosh Defining Brow Gel was another great product. I can say that I have never used brow gel, I am one of those ladies that only pluck them and don't do anything else, but the Gosh gel seemed like a good product when I applied it on my brows. There was no clumping or smearing and it went on smooth. After wearing make up for over 15 years and trying out so many different makeup products I can actually say that I think I found my new brand. I am very pleased and happy that I got to review these products. I especially like that through out the day the make up didn't smudge or smear. I was pleased the I didn't have big raccoon eyes by the end of the day. 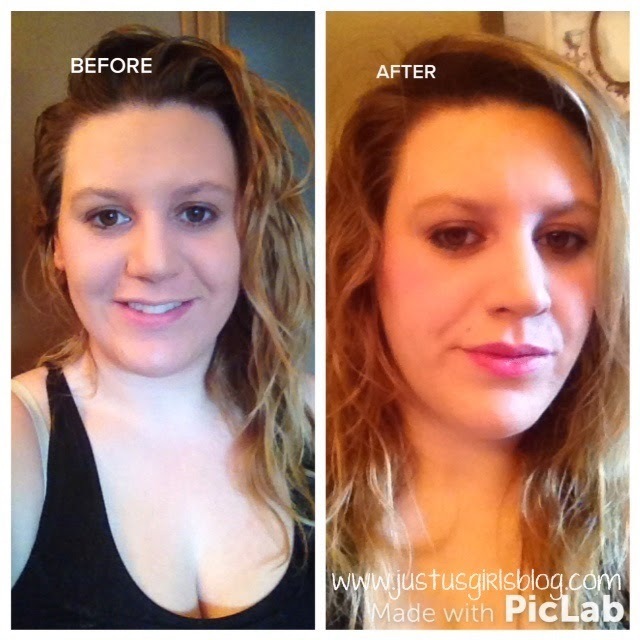 The make up was easy to remove there was no after built up of the powder or mascara. I am very please with these products and would definitely recommend GOSH Cosmetics to family and friends. Disclosure: All opinions are my own. 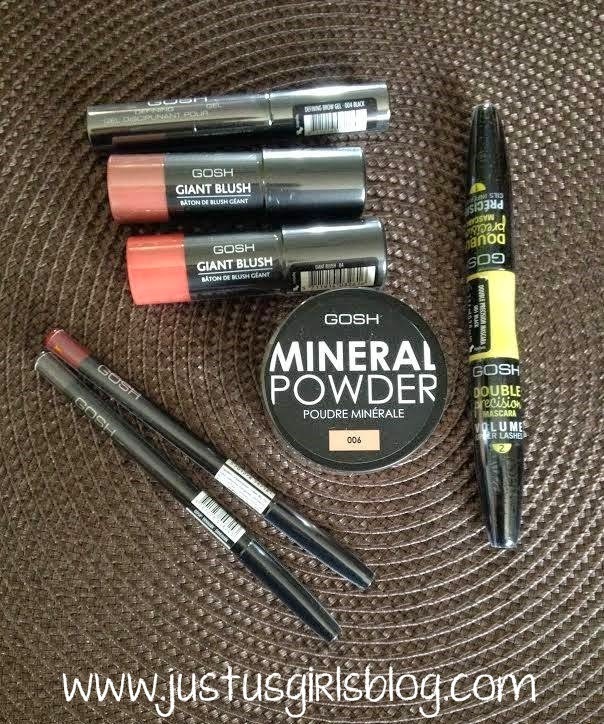 I received GOSH Cosmetic products at no cost for the purpose of this review. No other compensation was received.